Everyone has a different taste in chocolates, which makes it difficult to know that what they do like the most. Buying chocolates for your loved ones on Chocolate Day is a special thing, but what if they do not like what you have bought for them. Well, zodiac has an answer for everything. Believe it or not, our sun sign has a great impact on our choices. 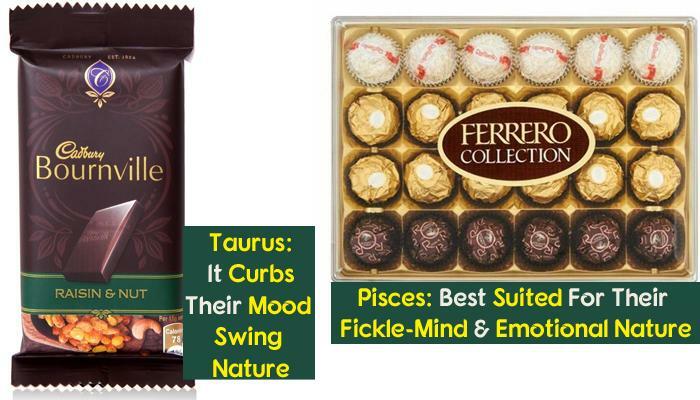 So, here we have a list of chocolates that you can buy for your partner according to their zodiac sign. Recommended Read: Choose Your Partners Wisely, Here Are The Most Incompatible Zodiac Signs For You! Aries are very adventurous people. They love to travel and are very courageous and energetic. They take any challenge with a headlock and are not afraid to take on any challenge. They do not like plain things at all but are inclined towards everything that is quick. Giving them a simple chocolate will be a mistake. They would love to eat something that has a little crunch to it like Cadbury's Crunchie. Enough crunch and ease for the Aries! Taureans are very sensible and reliable people. They are independent and patient, but their mood swings often come unannounced. They are very stubborn and making them understand your point is completely out of the way. A slab of good quality dark chocolate with rum and raisins not only suits their compassionate nature but helps them curb their mood swings that often lead to disasters. Geminis are the caring and sharing type of the zodiac lot. They often have a large group of friends and they like to share their things with them. They would go for anything that can be used as a conversation starter. Keeping in mind their sharing nature, give them something that can easily be split among friends. A multiple-pieced bar like Cadbury Silk will be good for them. The comfort-loving and emotional Cancerians hide their true feelings by appearing tough and aloof. They get hurt easily, and by little things so it is mandatory to make them feel secure. A chocolate that seems tough on the outside, but melts slowly when kept in the mouth will be great for Cancerians. Belgium chocolates will be suitable for their personalities. Leos are proud and romantic. 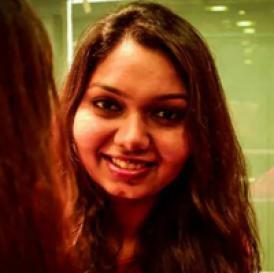 They are highly ambitious, and love being the centre of attraction. They have a knack for being on the pedestal. They are problem solvers as well. Leos want everything royal. So, a box of fine handmade or assorted chocolates will definitely catch their attention. Just make sure that those are beautifully decorated. The perfectionists of the zodiac group, Virgos are highly analytical and observant. They care about their friends but do not shy away from pointing out their mistakes. They are very dependable. Virgos want perfection and purity in everything. Any chocolate with wafers or biscuits will not suit them. They will love to have a chocolate that is pure with a hint of some floral flavour in it. Libra is symbolised by balance, though they seldom achieve it. They are a cute combination of everything opposite. They are graceful and enjoy the little things in life that others cannot. They enjoy intense flavours, which change as they melt in the mouth. A simple pack of Pulse candy will bring forward their million dollar smile. Extremely passionate and fierce, Scorpions love getting and giving attention to their loved ones. If you cannot handle over-the-top love, you should stay away from a Scorpion. Their love is a combination of a bittersweet experience, so the chocolate they receive should be similar. Pinning down a Sagittarius is a very tough job. They need a breath of freshness in everything they touch. They are curious but very intelligent. Once they are committed, they are extremely loyal. Sagittarians like nutty and fruity flavours. A pack of Cadbury celebrations with a potpourri of flavours will make a great gift for them. Capricorns are highly stable and very hardworking. By their methodical ways, they more than often achieve their goals. They are idealists as well as practical. They are generally inclined towards exotic and expensive things that look great. Imported Swiss or Belgium chocolates will bring a smile on their face. Aquarians are talkative, kind and humane in every sense. They appear detached, but those who know them have a fair idea of how sentimental they are. They are the pioneers of everything new and creative. They might be different, but they love everything pure and straight from the heart. A pack of Hershey's milk chocolate will make them feel special. Dreamy, kind, sympathetic, and mysterious- a Pisces is fickle-minded and emotionally vulnerable. For the ones who live in their own fairyland, dreamy and creamy chocolates are the best. A box of Ferrero Rocher will be apt for them. The creamy centre part of these chocolates will be very well appreciated by them. This list is made to make your life easy on a valentine day. You can trust us and follow it. Your partner will not be disappointed on the day. Let your choice of chocolates for your loved one, say it all! Stay tuned with us to know more about how to make it special for your partner on valentine's day!